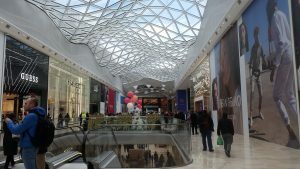 Peter Miller, Chief Operating Officer of Westfield, and Hammersmith & Fulham Council Leader Stephen Cowan opened the £600m extension together, unveiling the first tranche of new brands including BoConcept, West Elm, Adidas, Space NK, and a refurbished H&M. The 740,000 sq ft extension is part of an overall £1.2bn project also containing homes and office space. 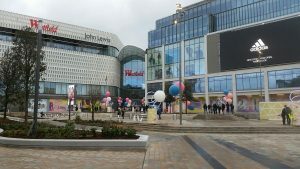 The John Lewis (right) is a four floor retail experience, and makes Westfield London the only UK shopping centre with four department store anchors. 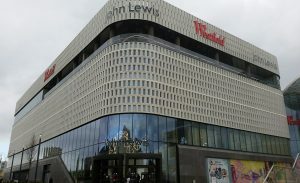 Further new brands will open in the coming months, including the second most requested after John Lewis – Primark. 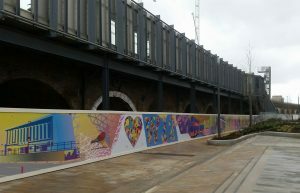 Also opening later in the year will be Westfield Square (left), a new public space outside the centre and bordering on the DIMCO building, the new bus interchange, Wood Lane station and the arches under the Hammersmith & City Line viaduct (below left) which are currently being refurbished. This will be a new entertainment and leisure destination with restaurants and cafes around the edge and animation aplenty in the square. 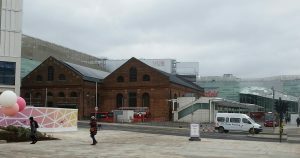 The neighbouring listed DIMCO building (right), released from its function as a bus layover by a newly built facility, will be reborn as a new entertainment venue – indeed it has already hosted Burberry’s iconic London Fashion Week show. As well as bringing new retail brands to Shepherds Bush, the new extension will create another 8,000 jobs to add to the 12,000 already in the existing centre. It is understood just under 15% of the new jobs will go to Hammersmith & Fulham residents under the terms of a partnership with the local council where local people get a priority application period. The partnership with the council distinguishes Westfield. From the start they have tried to employ and then train and develop locals – believing this to be a valuable contributor to the centre. Local pride encourages both productivity and resilience. Those who live close and who develop a rewarding career will be ‘stickier’ employees than those who have a longer commute. Cllr Cowan said: “Westfield were one of the first partners we met with when we were elected. We were impressed then by their courage and vision. 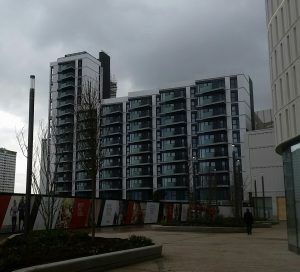 With 1500 homes to come from the Westfield part of the development of White City – including the 89 affordable ones completed and next to the eastern door of the new extension (left), and more from the St James redevelopment of the former M&S Warehouse site north of the viaduct, Stanhope and Mitsui Fudoshan’s reimagining of the BBC TV Centre, and Imperial College changing the skyline by the A40 Westway (view from Westfield shown above right), White City certainly feels like it’s time has come.